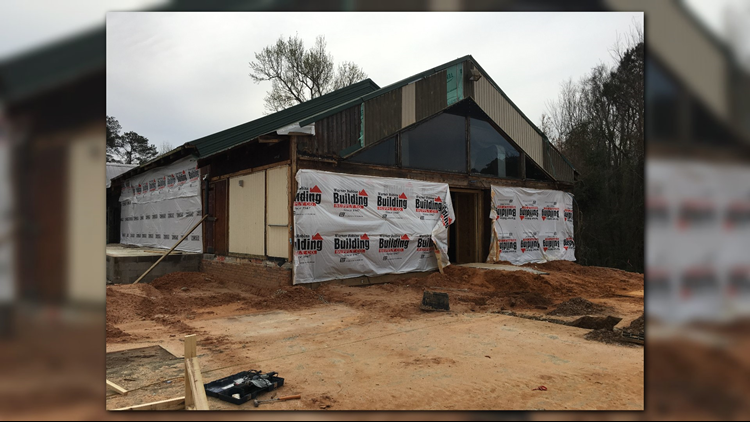 The restaurant, named the Pond Cafe, is expected to open summer 2019. WARNER ROBINS, Ga. — A cafe is planned to open in the former Catfish House location in Warner Robins this summer. Timothy Chambliss, who's the general manager, says Pond will serve America-style breakfast, lunch and brunch. Chambliss says the owner, Joe Wilburn, has been in Warner Robins for several years and is retired Air Force. "Joe has approached this with a very local mentality," Chambliss said about the construction. Wellston Decorating, Samson and other local business have already been involved with the process so far. Chambliss says they have a menu in the works and want to bring a menu to the area that folks usually have to travel to get to. "We hope to bring some real brunch items to the area," he said. Pond is located in the former Catfish House on Moody Road. Pond will have some traditional breakfast foods and they are also taking ideas from the community as they want to provide what the people want. "I definitely want to bring eggs benedict to the area.I'm a huge benedict fan." Pond is projected to open some time in July 2019 and will be located at 2407 Moody Road, which is located near Wellston Station. Click here to visit Pond website and here to visit its Facebook page.